All current tours and conferences are listed below. Click on the tour or conference name for which you are registered or interested in joining. The link will provide complete details and information. Kuala Lumpur, Singapore and Macau. 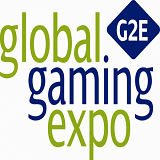 2019 G2E Asian Gaming Tour.